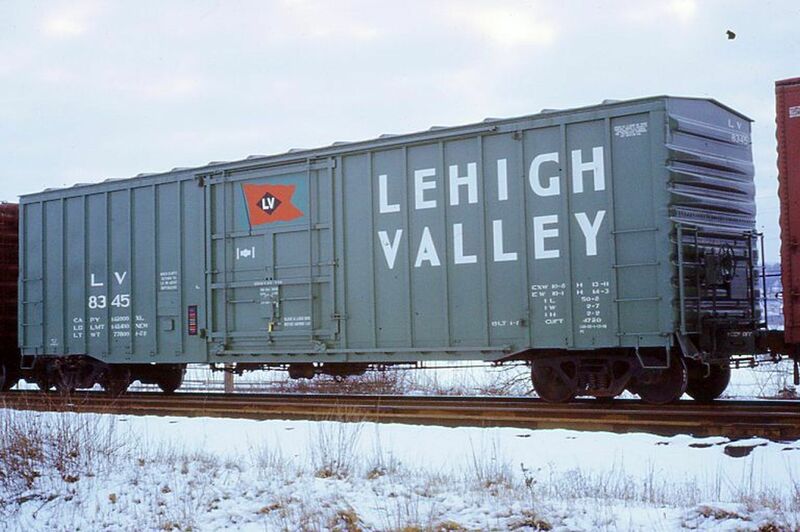 Probably among the last new freight cars purchased by the Lehigh Valley. As with all of the newer box cars there is no catwalk, no ladder to the roof and the brake wheel is positioned only a few feet above the drawbar. Photographed by Ron DeFilippo, February 2, 1969. Added to the photo archive by Ron DeFilippo, April 12, 2019. WOW this one is magnificent!!!!! This looks it was taken on February 2 of 2019, and not 50 years ago!!!!! Man, do you sure know how to take the coolest pictures!!!! !